Enjoy the very best in homemade Scottish cuisine, modern and traditional recipes, prepared from fresh locally sourced ingredients. Be it for a quick lunch or that very special occasion. Enjoy dining in a cozy atmosphere during the winter months or perhaps al fresco in the summer in our Courtyard Garden. 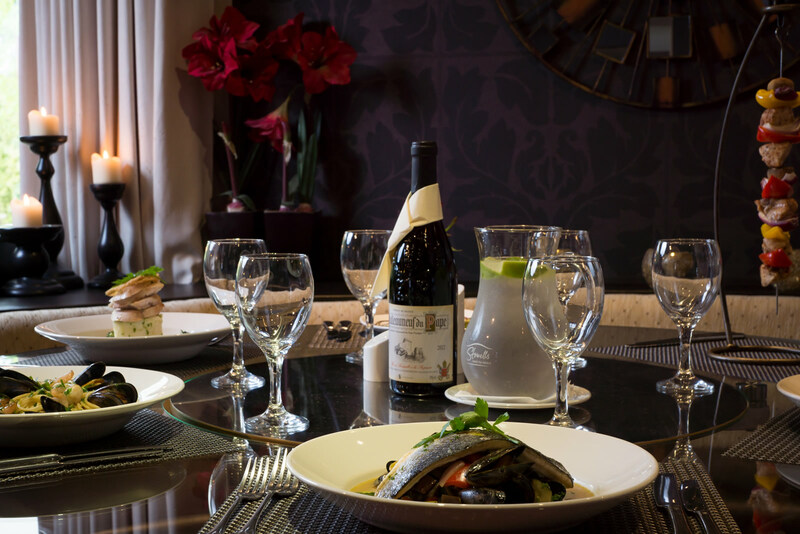 Warm, friendly and efficient service is our forte and coupled with a passionate team of chefs we attract many loyal locals and hotel guests alike. Needless to say booking is highly recommended so please call us to reserve your table.